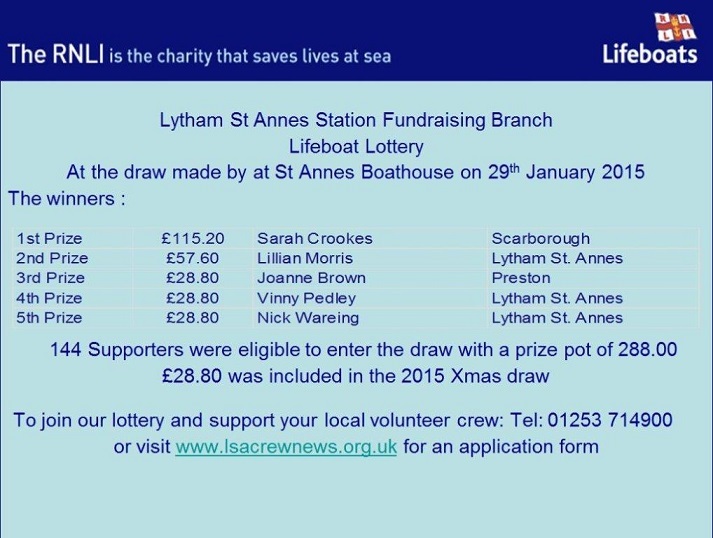 Congratulations to the winners of our Lifeboat Lottery January Draw. Right now you have a 1-in-144 chances of winning !!! The draw is limited to only 250 supporters (so we have room for over a hundred more) and costs only £5 per month.